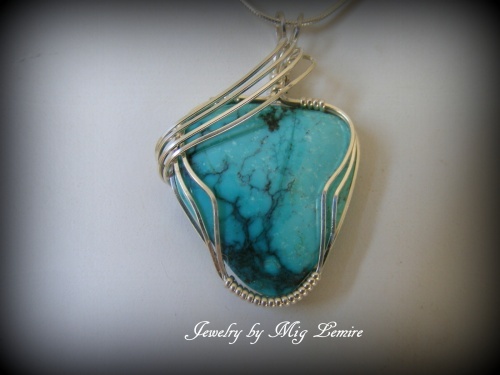 This beautiful turquoise gemstone is so elegant and striking with its argentium silver swoop and framework. Argentium is a silver that does not tarnish as quickly as sterling. Piece measures 1 3/4" from top of bail to bottom of pendant and 1" wide. Comes with a sterling silver snake chain.